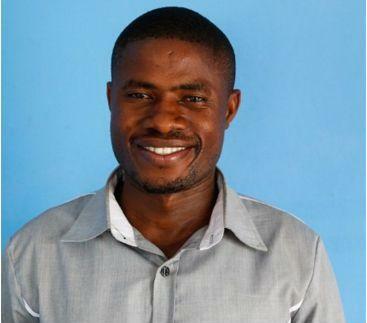 The President for the Sierra Leone Association of Ebola Survivors (SLAES), Yusuf Kabbah (in photo) has been accused of embezzling billions of Leones meant to improve their lives. According to the disgruntled Ebola survivors across the country, Mr. Yusuf Kabbah has never accounted for the money he has received on behalf of the association for the last four years, adding that he must be shown the exit door when his tenure expires next month (December). They also accused him of having an intention to bulldoze his way for a second term of office after failing to account for billions of Leones entrusted to him on behalf of the association. Contacting President Yusuf Kabbah through telephone call to react to the damning allegation levied against him by association members, he assured that he was prepared to give account of his stewardship at the end of his first tenure in December, this year. He however refused to respond to his alleged plan to contest for a second inning and turned off his cell phone. It could be recalled that when the Ebola Virus Disease (EVD) struck in May 2014, the deadly disease killed thousands of Sierra Leoneans and other nationals, whilst many more who survived the deadly scourge after the country was declared Ebola Free by World Health Organization (WHO), eventually formed the SLAES and unanimously choose Mr. Kabbah as their association’s President.